Without proper Digital Marketing Strategy, No one starts any business now a day. Because Digital Marketing plays a major and vital role in marketing strategy for any new business irrespective of any size they are into.Though in the initial stages you may have few budget allotted with fixed size of employees, therefore you need to plan properly to grow fast. The major reason for the startup’s failure is due to the lack of proper planning in Digital Marketing. You may have come out with excellent product which might go crazier than others in the market but without proper planning on how to address and attract the people or traffic, you will face a major failure. Market expertise had realized that they can go up to the next level of Transformation is by using Technology. Digital Marketing provides a route and a pathway for them to the marketing edge that can push the start up in this competitive world. Digital Marketing that too Social Medias plays an important role in bringing up the traffic and approaching the right and target audience. Even though the world’s top 10 e-commerce sites also creates Social Media Campaigns targeting their audience, providing their Company’s information and also about its products. Digital Marketing may not be able to record sales but, it may surely help you to promote your branding among the customers. Customer is God, SO we should be able to understand their pulse and expectation, So that we could service them properly and delivery them the products what they want. By doing so your brand gets popular among your customers and your business gets flagged through this. Through Digital Marketing you can also Track, Monitor, and analyze all your customer behaviors. This will still strengthen and enable the bonding between yourself and your customer, through which it paves the way for you to satisfy their exact need they wanted from you. 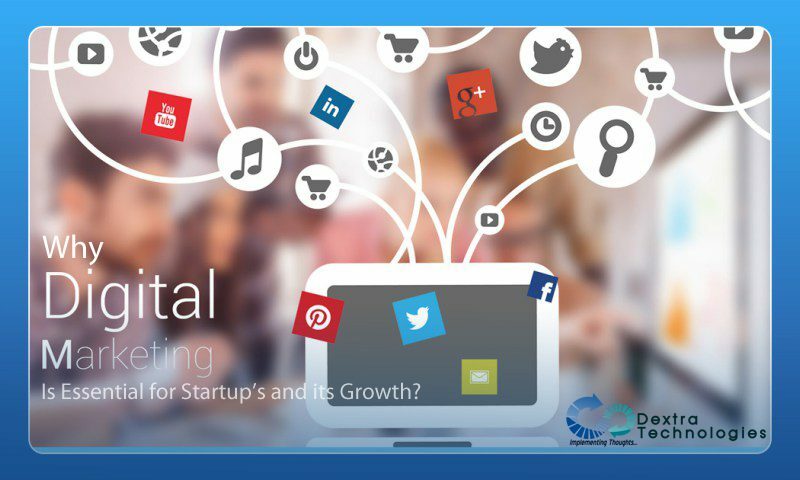 Though Digital Marketing is really cost-effective, it plays as the perfect Marketing tool for the startups who may not have large pool of resources or capital investments. When compared to Traditional Marketing, Digital Marketing is competitive and easily can beat the former and prove with good records of best results.